November 11, 2015 June 18, 2018 Bill McMurdo "Merlin"
The story of the Apostle Paul’s conversion is a striking and well-known one. On the road to Damascus Paul – or Saul as he then was – found himself surrounded by a bright light from heaven. A conversation with Jesus took place and a blinded Paul had to be led into Damascus by hand. A man called Ananias was sent to Saul/Paul to restore his sight. This man was given Paul’s lifetime mission by the Lord and what is interesting about this is that not only did this prophetic message accurately predict the duality of Paul’s ministry to both Judah and the scattered tribes of the Uncircumcision i.e. Gentilised Israelites, it also included a vital part of apostolic ministry that is arguably even more relevant to us today than it was in the Early Church era. It is well-known that Paul was indeed sent to and ministered to both the Gentiles and his fellow Judahites who comprised the nation of Israel at that time. Yet here we see an aspect of Paul’s ministry which few are aware of – he was expressly sent to a third people group i.e. kings!! Now there was a very specific fulfilment of this in terms of Paul’s relationship through his mother and half-brother Pudens. Pudens was married to Claudia, daughter of Caractacus the British King and adopted daughter of Emperor Claudius. Pudens and Claudia lived in the Palatium Britannicum, the household where British royalty lived in Rome and where the Titulus – the original Christian church in Rome – gathered. Their son Timothy – possibly named after Paul’s son in the faith – became an apostle to Britain and baptised his great-nephew Lucius, a British king. So Paul’s immediate family was British royalty and he was by this connection also related to Rome’s Imperial family. We know from Scripture that Paul was often led to a place where he addressed important people, such as King Agrippa (see Acts chapters 25 and 26). It is this aspect of being sent to kings that I believe the Lord would have us be very aware of in our generation, particularly as Paul’s ministry is seen as prototypical of ministry in the Church Age. This is something I believe even the lowliest of believers is called to do i.e. minister to kings, rulers and leaders in various dimensions of society. For years believers have been talking about how people need the Lord and how our leaders need to hear from God. Well, the way to walk this out is to be carriers of the message from God! It is through His people that God will reach those who have the rule over us in government, commerce and other areas. Sadly, many Christians’ only interaction with the powers that be is one of hostility and confrontation, what I call the placard ministry! It is bordering on the ridiculous that we demand perfection and godly rulership from people that don’t know Jesus yet we then berate them when they fail to provide it. Even though we know that we are asking unfairly for the impossible from people completely unable to deliver! God has not sent us to judge and condemn people in power but to help them. As believers we can provide backing in a supernatural way to those in leadership positions. This includes wisdom from the Word and the Holy Spirit. Indeed, this is the heart of Emrys Ministry, bringing counsel and support from the highest place of authority, the very Throne of God. Our job as believers is to speak to kings, bringing prophetic insight, godly counsel and supernatural wisdom. Biblical models of this include Samuel, Isaiah and Jeremiah. Historical examples include Merlin, Archbishop Cranmer and John Knox, while Gandalf is an ideal figure in literature to exemplify the role of a wise counsellor to kings. Emrys ministry is needed more than ever in today’s world, where foundations are far less solid than in previous times and where, for all the explosion of knowledge we have seen, wisdom is scarcer than ever. Leaders need to hear the voice of God and they need the support and wise counsel of God’s people who have been equipped to provide such by the Lord. This isn’t just about moral guidance but also covers things like creative ideas and strategic planning, as well as leadership advice and training. 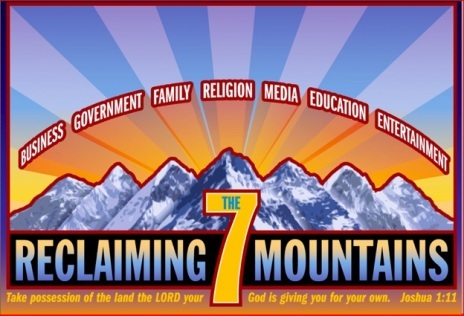 Crucially, this isn’t about fivefold ministers but is a job for all of God’s people. However, apostles can and do function in the intersection between church and world. 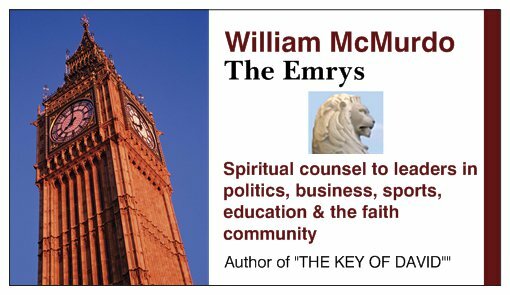 It is no coincidence that Emrys ministry has historically been carried out by high-ranking bishops and apostles. Norma Lorre Goodrich postulated that the famous Merlin, arguably the greatest Emrys in the Christian Era, was the alter ego of Saint Dubricius, the highest-ranking Bishop in the British Church at that time. His Merlin persona was the expression, if Goodrich is correct, of the distinction between his ecclesiastical role and his marketplace/courts of government one. We use the phrase “training for reigning” a lot. Emrys Ministry is the fulfilment of this. It is not about an ecclesiocracy nor does it fit into traditional ideas of theocracy. Neither is it a formal Church-State partnership. It is very much what we would call a para-church concept, although even that is just a label, if we are being honest. Whatever you label it, the day is coming and is now upon us that more and more leaders and rulers in the world will turn to Christians for help, support and counsel – not only those in fivefold ministry but even the humblest of saints will counsel kings and presidents. 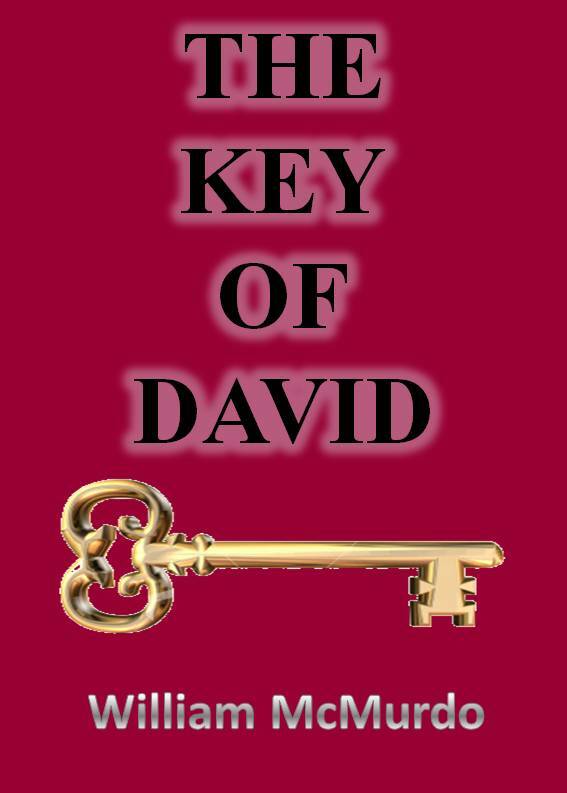 The honour of fashioning this world after the Kingdom is one all the people of God will take part in.